Co-operative Care: An act of the imagination. 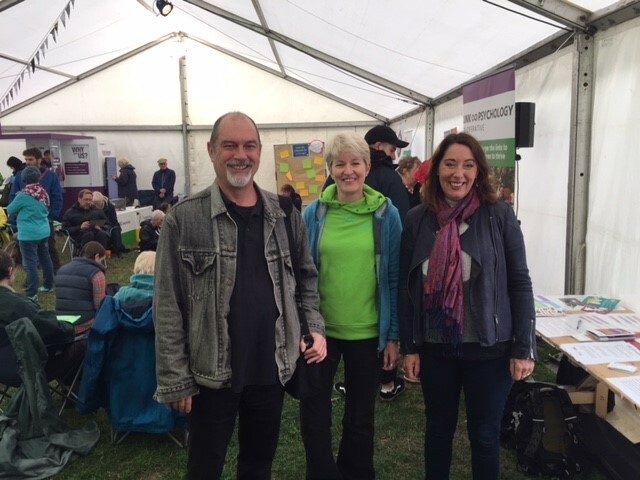 We were recently invited to speak at the Greenbelt festival. Held every August, it brings together social justice, politics and faith. The Exchange is aimed at bringing together “…pioneers of enterprise for the common good” and talking about ideas of value, commonality and inspiration! Cliff Mills of Anthony Collins Solicitors chaired the panel debate, and Adrian Roper CEO spoke about Cartrefi Cymru Co-op, a co-operative with a workforce of over 1200, which supports people with learning disabilities in the community at home in Wales. Debbie spoke about Link Psychology Co-op and brought in some of the psychological theory and co-operative research supporting the efficacy of working this way as well as the positive difference this makes for our clients. Debbie speaking at The Exchange, Greenbelt. 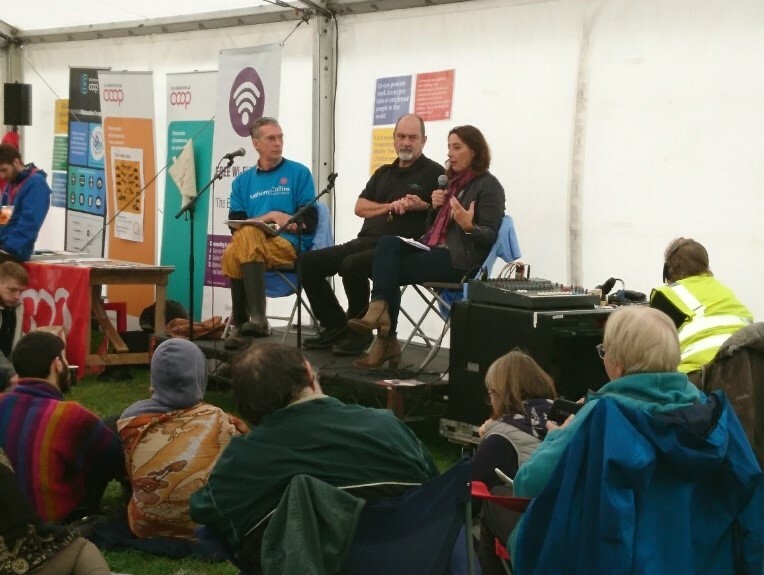 Despite the Northamptonshire rain, the tent was full of interested festival goers ready to debate how co-operative models differ from traditional business models and, given current challenges and change, how co-ops might offer new possibilities for the future. A great day had by all! Adrian, Jayne and Debbie at The Exchange, Greenbelt Festival. The Exchange event was sponsored by Midcounties Co-operative, Co-op energy, Co-operatives UK, New Internationalist and Anthony Collins Solicitors. This entry was posted in Link Psychology News and tagged co-op, co-operative, coop, Greenbelt Festival, The Exchange. Bookmark the permalink.